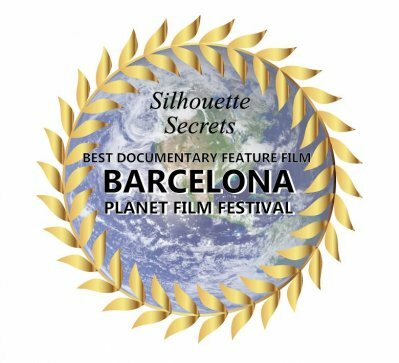 HOUSTON, TX; April 2016 – Silhouette Secrets the documentary film has launched with a flying start in 2015, 2016, and beyond! 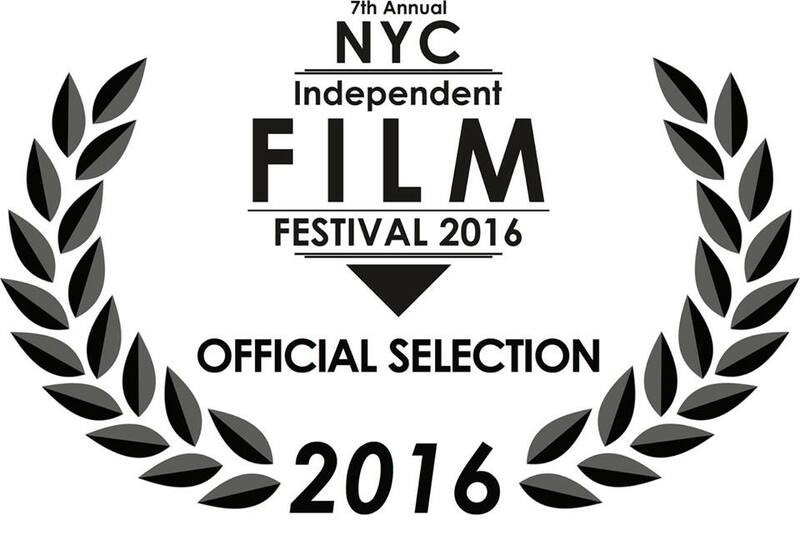 We were nominated for Best Documentary at the Marbella International Film Festival in 2015 and the following week we screened at NiFF (Next International Film Festival) in Houston where we won the Best Documentary Award there and also Best Documentary Feature Film at the Barcelona Planet Film Festival in Spain in November. 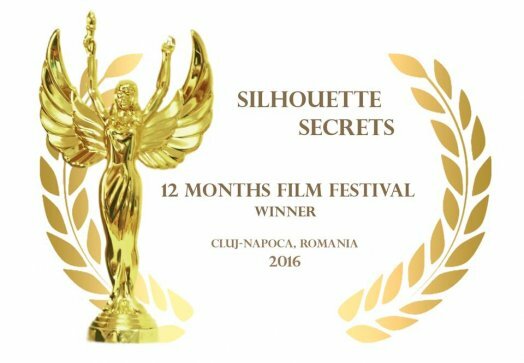 THEN: Silhouette Secrets was awarded BEST DOCUMENTARY yet again at the Best 12-month Film Festival in Romania in March, a Gold Remi (highest honor) at WorldFest for Documentary film the first week of April, followed by premiering in the UK at the London Independent Film Festival on Sunday, April 17th and then in NYC at the New York City Independent Film Festival on Saturday, April 30th – and we have submitted the film to a number of additional film festivals this year, all over the world. Cindi Harwood Rose is an associate producer of the film, a hat she wears well. With her keen attention to details and background in movies, art and TV it is only fitting she would make an award winning full length documentary. She will be showing in London and New York, which are difficult cities to get movies previewed in. 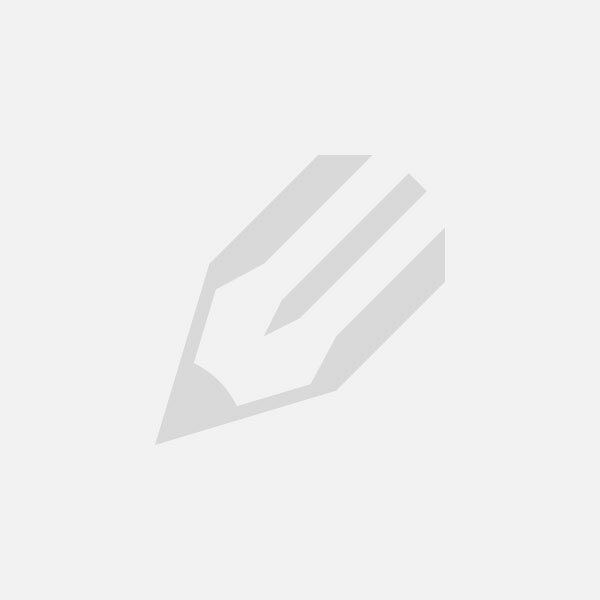 Normally the documentaries are about stars, singers, or recently, Gloria Vanderbilt. 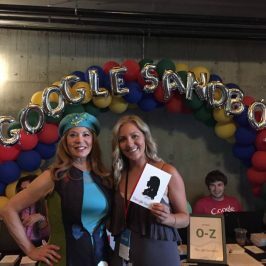 Cindi Rose, Charles Burns, and Andi Reis (of the UK) chose the lost art of silhouette cutting including hightlighting how this art freed a slave who had worked with the famed Peale family using a machine to help them cut a silhouette. Charles and Cindi perform this lost and difficult art, of which there are most likely only 38 at most real silhouette artists alive in the world today, who can look and cut a profile without a sketch or light. 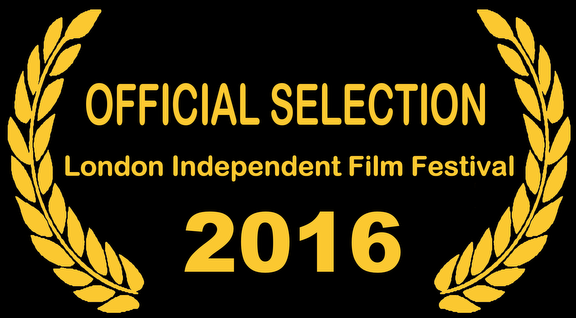 “I am thrilled we have done so well at so many Film Festivals among so many greats. 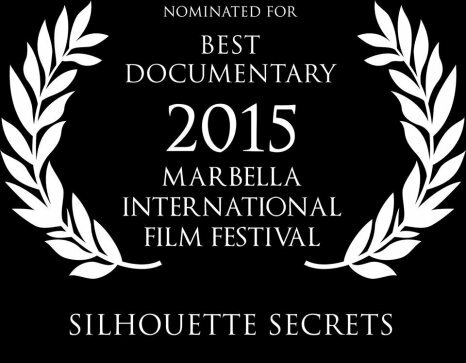 When booking me to cut silhouettes at your next event feel free to introduce me as a co-producer of the award-winning documentary Silhouette Secrets!” says Cindi Rose. ABOUT SILHOUETTE SECRETS: Silhouette Secrets is a 40-minute documentary presented by Silhouette artist Charles Burns. In collaboration with filmmaker Andi Reiss and associate producer Cindi Rose, it is a journey back in time, exploring the artistic heritage of the modern-day silhouette artist and bringing to life some of the obscure and eccentric characters who have practiced this art in the past asking the question “Where did it come from?” The idea is to unpack the history of silhouettes by looking at the work of successive generations of artists across the globe, and the differing conditions in which they worked in a quirky and entertaining manner, filling the film with unexpected visual references to the shadows and silhouettes we all see around us everyday. On the way he meets the world’s fastest silhouette artist Cindi Rose (that’s me! ), who challenges him to a duel of scissors! The journey takes us from a windswept seaside pier – on the north coast of Wales – to an Audi showroom in Houston, Texas, and finishes with an intriguing answer to his question. ABOUT ASSOCIATE PRODUCER AND SILHOUETTE ARTIST CINDI ROSE: SAG-AFTRA Cindi Rose is not new to the camera’ spotlight. She has had speaking parts in many movies including Futureworld, Bad News Bears in Breaking Training, and They Still Call me Bruce. Rose has been featured in over 25 local and national TV commercials and starred with Harold Gun on High Noon (exercise TV show) and Captain Harold’s Theater of the Sky. However, this University of Texas film and art major has graduated on, to producing her own documentary Silhouette Secrets and it is winning awards at international festivals world-wide. Cindi Harwood Rose began snipping her way to stardom at the age of 16. Her silhouette art career began at Astroworld, in Houston, which eventually took her to Disney World and Disneyland. 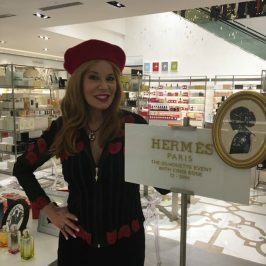 Cindi is considered the world’s premier silhouette artist, and has sheared celebrities such as Elvis, Liberace, Mama Cass, Queen Elizabeth, Sammy Davis, Peter Fonda, Barbara Bush, Tony Bennett, Mohammed Ali, Joey Bishop, Sammy Davis Jr, and many, many more. 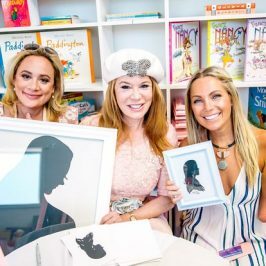 Cindi is also a co-founder of the Holly Rose Ribbon Foundation where she creates custom “Silhouettes For Survivors,” and proceeds are dedicated to helping uninsured breast cancer survivors receive free reconstructive surgery along with college scholarships. In a family of three girls, Cindi grew up in Houston and attended Bellaire High, where she was editor of the paper and studied advanced art. 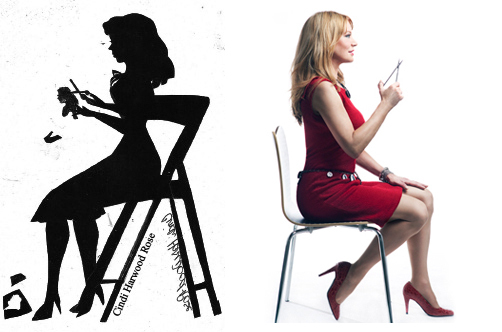 Cindi worked her way through college by doing silhouettes for customers at Astroworld and in DisneyLand, California. There she taught herself to hand cut silhouettes, the ancient French way of looking and cutting, without preliminary sketches, in one minute or less. With talent and speed going for her, Rose broke speed and production records winning the title of “the fastest silhouettist in the world” at that time, and she still holds that title to this day.